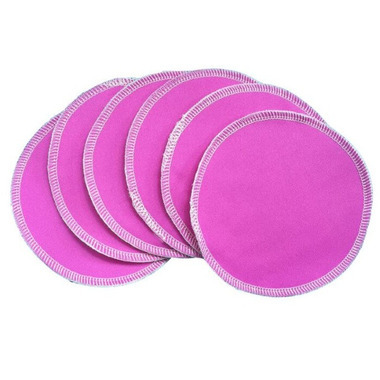 These washable Nursing pads are made of the same, plush rayon from bamboo/cotton blend as the inserts you love. The bottom half of the pad is three layers, while the top is two layers, so that you get absorbency where you need it without added bulk. Need an extra layer of protection? These PUL lined nursing pads are the choice for you! The same great absorbency as found in the regular washable nursing pads combined with an extra layer of polyurethane laminated polyester (PUL) helps prevents leaks!